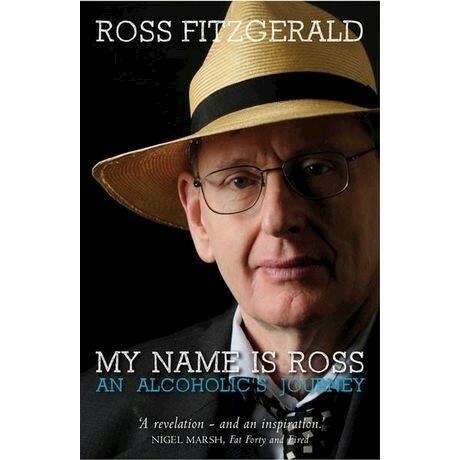 From his first drink at the age of fourteen Ross Fitzgerald has struggled with alcoholism. His story is one about despair, courage and hope - and living to see another day. Insightful, brutally honest and inspiring, My Name is Ross is his account of life as an alcoholic and his battle to get sober and stay sober. Ross Fitzgerald is a writer, broadcaster, historian and political commentator. He writes a regular column for The Australian and The Spectator Australia, reviews for the Sydney Morning Herald and The Weekend Australian and regularly appears on ABC Radio, ABCTV, and on Channel 7. He is currently a member of the New South Wales State Parole Authority; the New South Wales Heritage Council; the Administrative Decisions Tribunal; and the NSW Government Expert Advisory Group on Drugs and Alcohol. Emeritus Professor in History and Politics at Griffith University and part-time Professorial Fellow at the Australian Catholic University, Ross Fitzgerald has published thirty-two books, including Under the Influence: Alcohol in Australia (2009), Made in Queensland: A New History (2009), coedited Growing Old (Dis) Gracefully: 35 Australians Reflect on Life over 50 (2008), The Federation Mirror: Queensland 1901-2001 (2002), Seven Days to Remember: The World's First Labour Government (1999), and Red Ted: The Life of E.G. Theodore (1994), which was short-listed for the NSW Premier's Prize and for the National Biography Award. He is married to Lyndal Moor with whom he has a daughter, Emily.